MAKKAH – The tallest golden minaret in the world, which has been erected on top of the Makkah Clock Tower, will broadcast the call for prayer (Adhan) from the Grand Mosque in Makkah through special loudspeakers that will carry the sounds to people almost 7 kilometers away. On special Islamic occasions, such as the beginning of the Hijri months and Eids, 16 special vertical lights will flash 10 kilometers into the sky. During the Adhan, 21,000 lamps on the highest point on Makkah Clock send brilliant white and green lights to the sky; they can be seen from a distance of 30 kilometers. The lights indicate the beginning of time for prayer, especially for people with special needs such as those with weak hearing and those far away from the Grand Mosque. The Makkah Clock Tower stands 601 meters. The height of the clock from its base to the highest point at the peak of the crescent is 251 meters. The tower’s height makes it the world’s second-tallest building after the 828-meter Burj Khalifa in Dubai. The clock, which began showing time about 11 months ago, is part of the structure that cost some SR11 billion to construct, officials have said. The front and rear of the four faces are 43 meters by 43 meters and the two side faces are 43 meters by 39 meters. 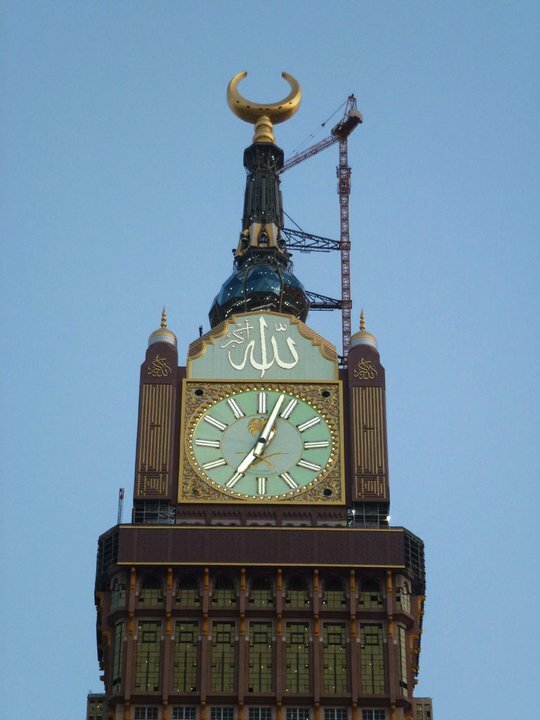 “Allahu Akbar” (Allah is the Greatest), in Arabic, can be seen on the top part of the clock. The letter “Alif” in “Allah” is more than 23 meters tall and the crescent, with a 23-meter diameter, is the largest crescent ever made. 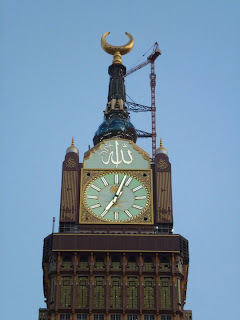 The two testimonies, “There is no God but Allah and Muhammad is His Prophet,” can be seen at the top of the two side faces of the clock, which has been designed in an Islamic style, according to the most precise Islamic criteria. The clock, which weighs 36,000 tons, is more than six times larger in diameter than London’s famed Big Ben. During the day its face is white and the indicators are black. At night, the face changes to green and the indicators change to white. More than 90 million pieces of colored glass mosaic embellish the sides of the clock, which is visible from all corners of the city, SPA has said. Elevators will take visitors up to a huge viewing balcony just underneath the faces, a four-story astronomical observatory and an Islamic museum. The Clock Tower is the landmark feature of the seven-tower King Abdulaziz Endowment hotel complex. The project is part of efforts to develop the old city and make it more capable of catering to pilgrims. 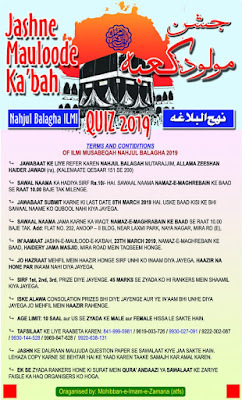 The clock reflects a goal by some Muslims to replace the 127-year-old Universal Time standard – originally called Greenwich Mean Time – with Makkah Mean Time. At a conference in Doha in 2008, Muslim clerics and scholars said Makkah time is the true global meridian. They said Makkah is the center of the world and that the Greenwich standard was imposed by the West in 1884.